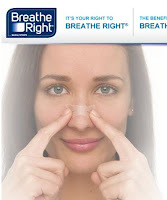 Fill out the form on the Breath Right website to register for your free sample. You'll receive it your sample in 1-2 weeks. You'll also be eligible to receive offers, and news about Breathe Right products. Note: you must be a US resident 18 years of age or older, one sample per household.Click below to go to the Breath Right website.